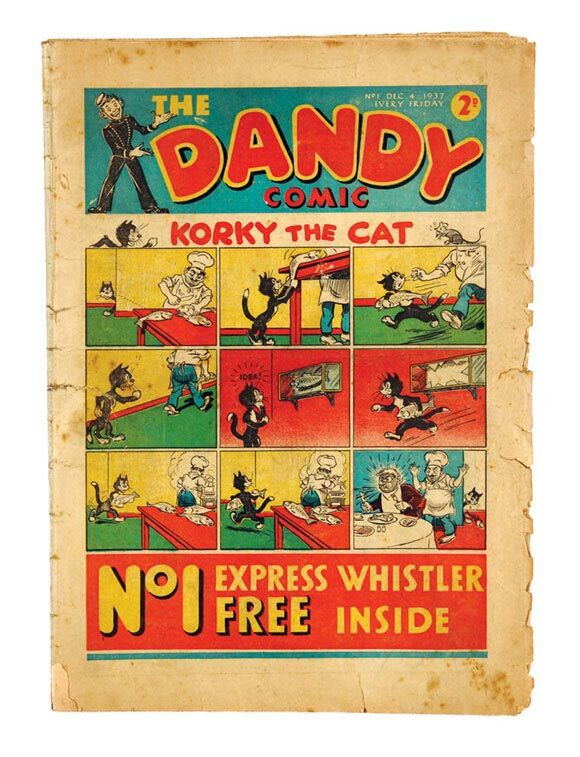 Our copy of The Dandy Comic No 1 was consigned to us by an elderly gentleman who had kept it since its tuppeny purchase in 1937. It was worn, torn and ragged but fourteen bidders ignored its lowly grade with the winner triumphant at £1655. 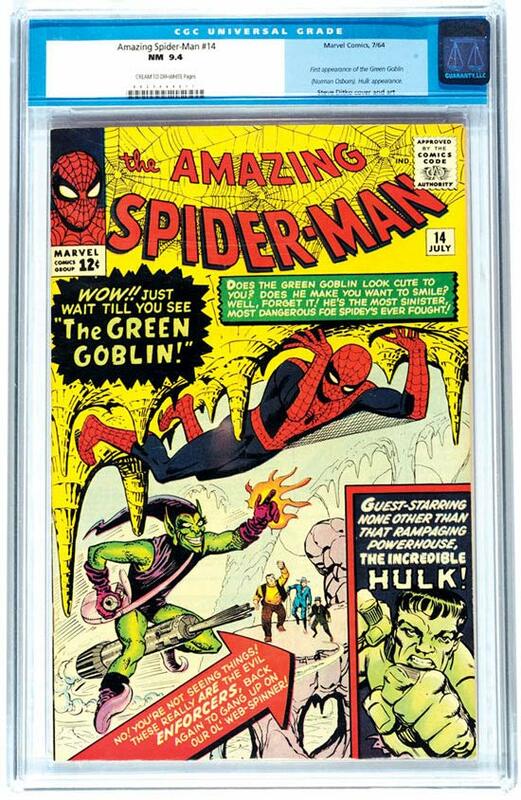 Also rare, but for an entirely different reason, a slabbed copy of Amazing Spider-Man #14 reached £3,500. Its rarity was due to the grade, 9.4 in its Comics Guarantee Corporation plastic enclosure, only six of which have been graded at this level. 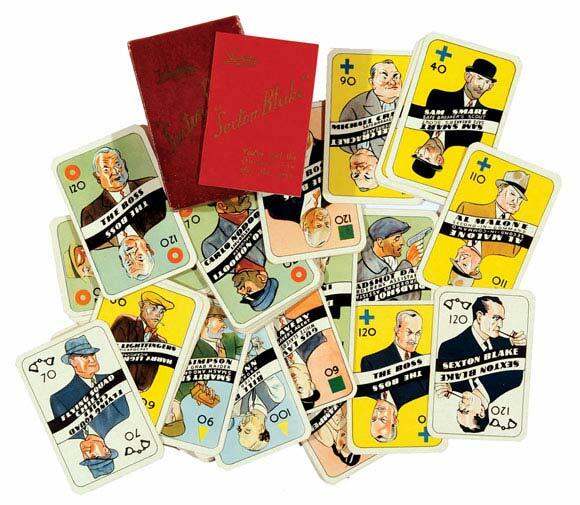 To understand the breadth of the US comics market, the same comic in [gd/vg] grade garnered £75.00. 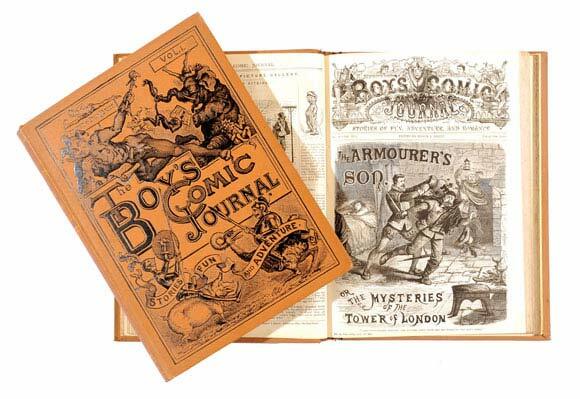 Boy's Comic Journal had the look of The Rake's Progress about its tooled covers and etched illustrations and the first 206 issues from 1883-1887 in eight bound volumes certainly raked a progressive £968. Regular readers of the Market Report will know of the stirling performance of girls' comics in recent years, and this does not preclude any particular decade. Our Schoolgirl's Own Library bound volumes had a fresh look as we added some rare annuals to each lot. The year of 1929 was only represented by 2 volumes from April to September (24 issues) but the addition of the annuals for that year and 1928 passed matriculation with £347. 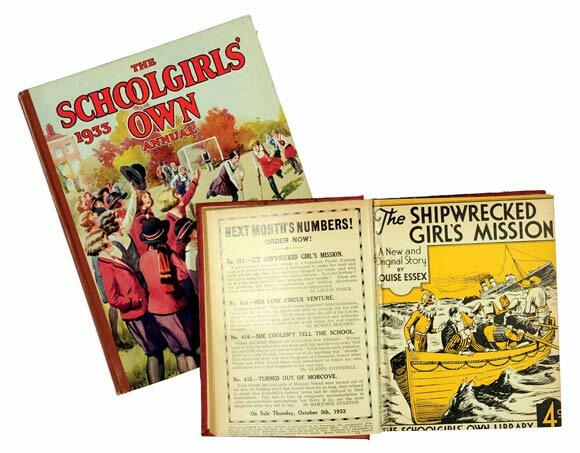 Going further, the complete year of Schoolgirl's Own Library for 1933 with accompanying annual scored £509. Top marks, gels. 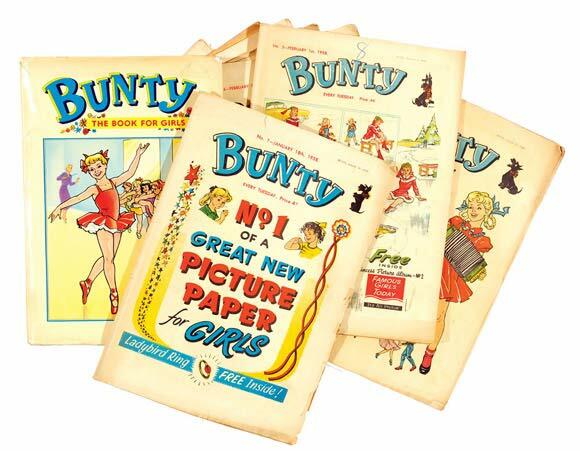 25 years later, in 1958, Bunty brought us tales of Pocahontas, Lyn Raymond Air Stewardess, Uncle Tom's Cabin drawn by Dudley Watkins and Jenny Wren's Cosy Corner. Issues 1-152 with Annual No1 in lowish grades found a quite remarkable £577, but where would you find a run like this? Like Bunty's picture serial, Orphan Of The Circus, our winning bidder had to walk that tantalising tightrope between grade and rarity. 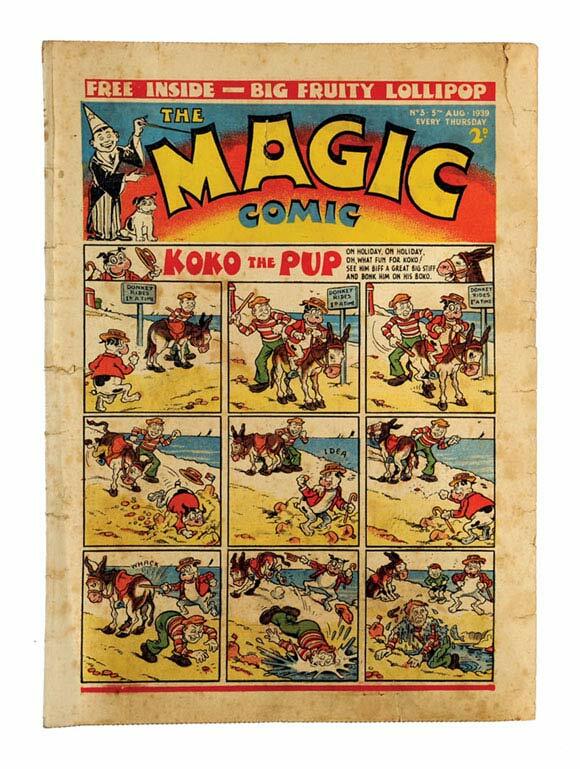 Magic Comics starred Koko The Pup on their covers and a frisky £181 was successfully bid for this [gd boy] No 3. 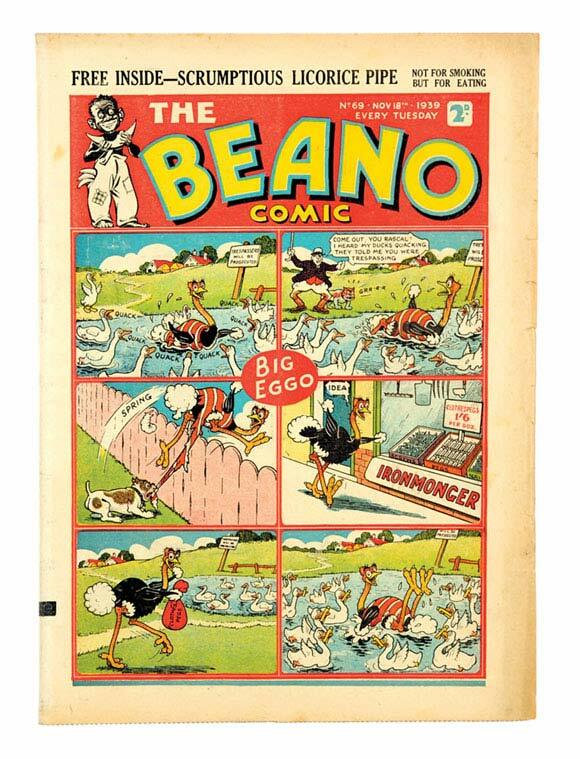 Beano war years issues regularly find £50-70 each in mid grades, but issue 69 was Fine, early and scarce at £159. 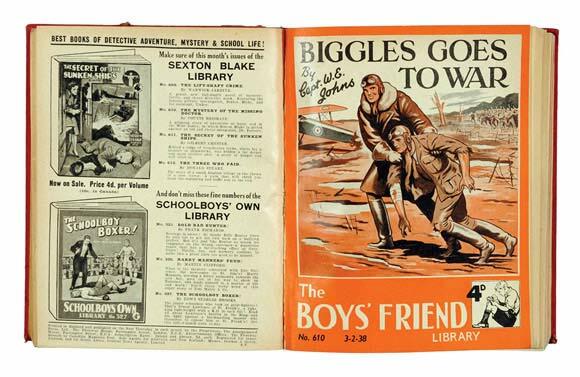 Exploits of an earlier war were featured in three bound volumes of Boy's Friend Library 1938 (36 issues). Starring a certain Flt Lt Biggleswade and first published here as Biggles Goes To War, it was no surprise when the balloon went up to £600. 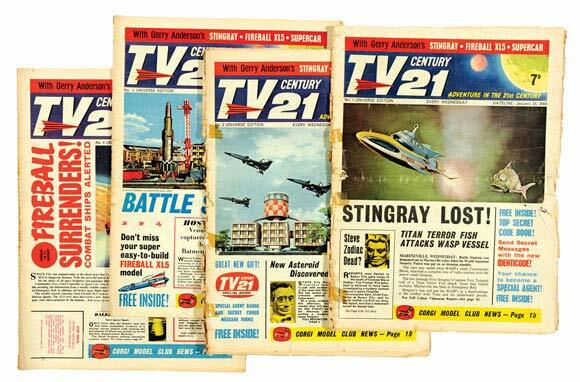 TV Century 21 was well represented with most of the run offered for auction in groups of 10 and fifteen issues per lot. 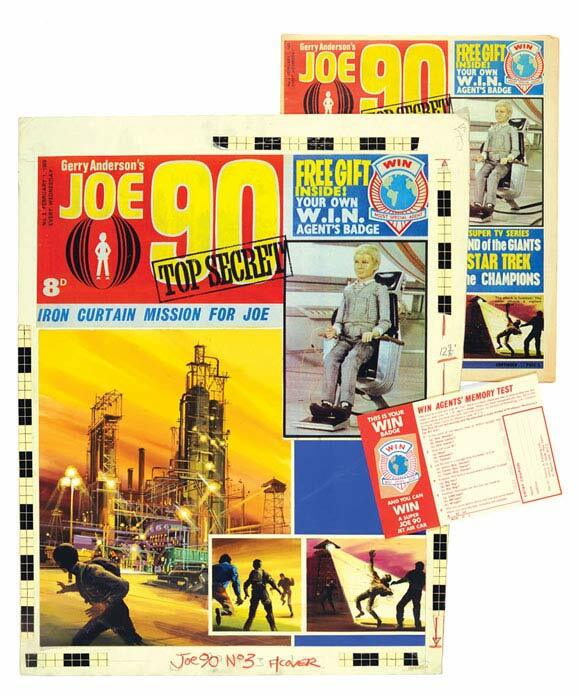 The first ten included Nos 1 and 2 with worn taped spines where Thunderbirds went to £247. 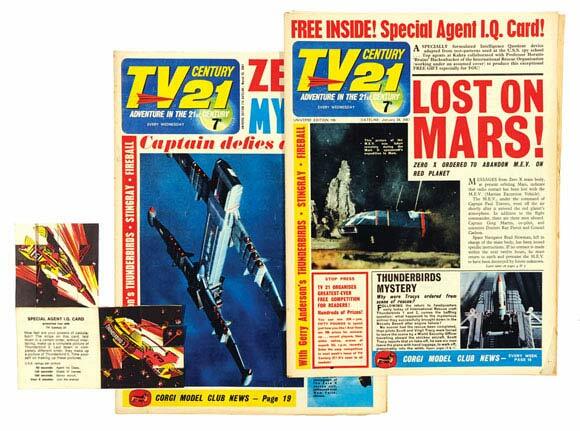 Don Lawrence's artwork was well appreciated when he started drawing Fireball XL5 and issues 101-120 also included the free gift Special Agent IQ card, a code broken with £242. Our US section starred the Spidey #14 at £3500 illustrated above but there was some strong bidding for mid grade key issues. 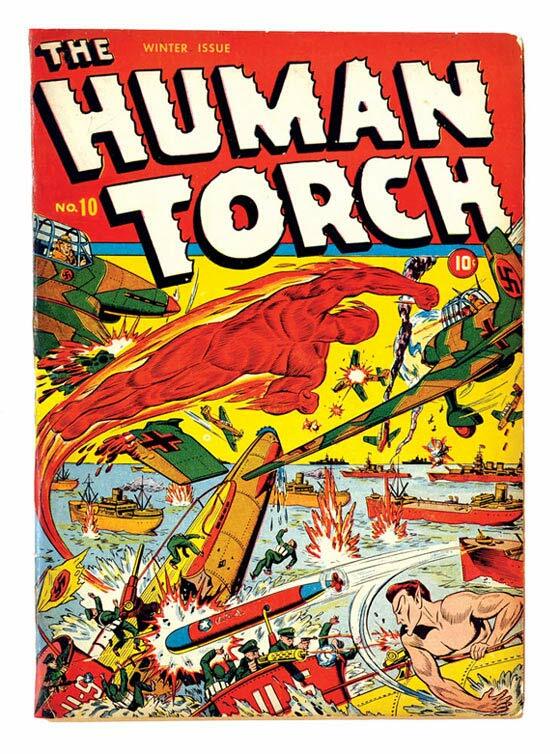 The Human Torch #10 had Torchy at loggerheads with The Sub-Mariner with World War II quietly going on in the background (a bit like us before the Americans joined in) in Alex Schomburg's classic cover. The winning bidder paid £308 to verify the outcome. 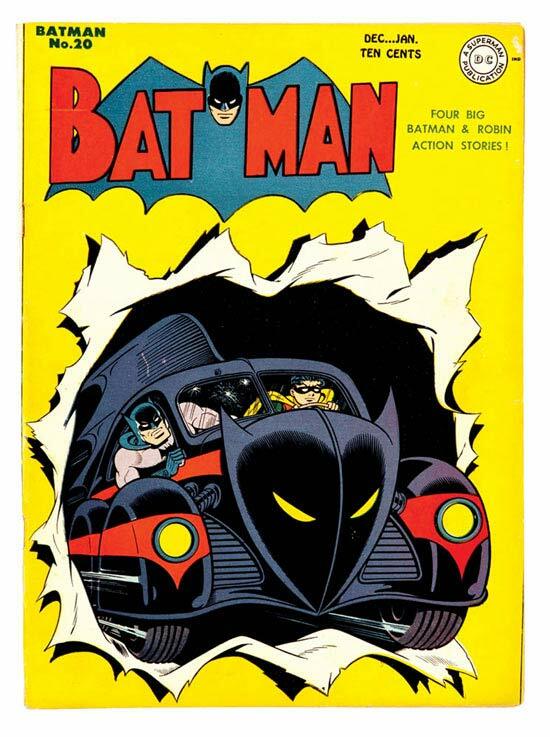 Batman 20 from 1944 sported the first Batmobile bursting from its front cover and this Fine copy accelerated to £461. 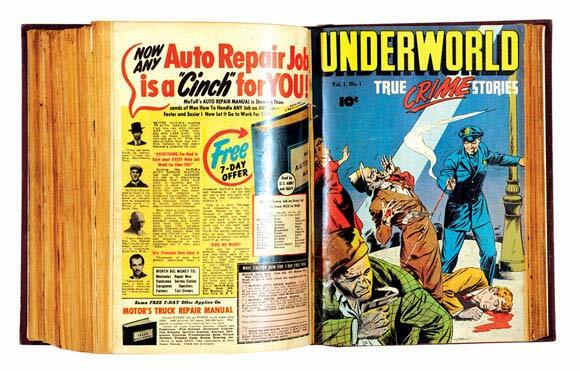 A bound volume containing 1940s first and early issues of Crime Does Not Pay, Underworld, Public Enemies and Lawbreakers Always Lose punched its way to £330. A rewarding breakfast if you like your eggs hard-boiled. 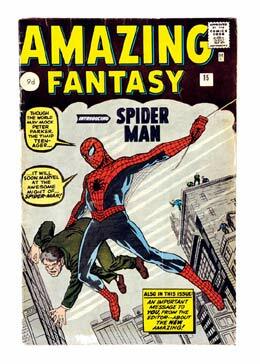 Very Good Minus pence copies of Amazing Fantasy #15 and Amazing Spider-Man #1 fetched £1300 and £798 respectively. 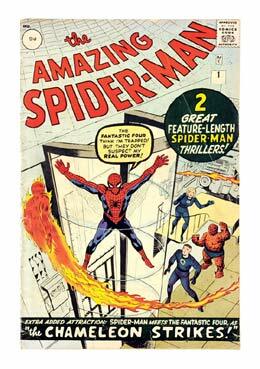 I read these two iconic titles in the sixties and for me this was the seminal moment when Kirby, Lee and Ditko realised that a new boy was in town who could also be a monster on the prowl when he wanted to. Peter Parker could be seen and not nerd.